Tonight, Obama is going to continue to pull the wool over the public’s eyes by making his case for using executive orders to prevent six million (that’s about an additional 2% to the U.S. population!) illegal immigrants from being deported, thus bypassing approval from Congress. Why this has not caused outrage among my fellow citizens is cause for great concern. To paraphrase a famous quote, all that is necessary for the triumph of tyranny is for good people to do nothing. If you’ve watched the movie The Matrix, you know that in this blog, I like to give you the red pill. If you prefer to take the blue pill, then stop reading here. 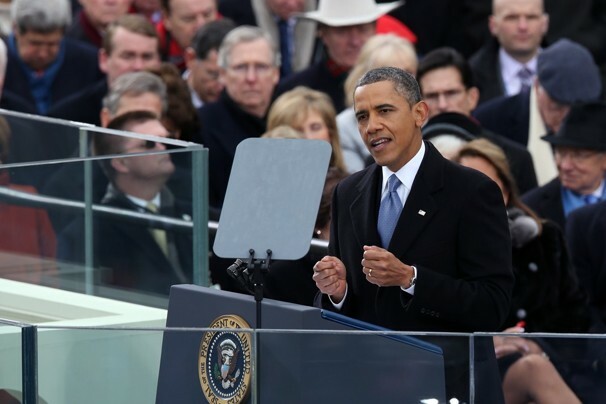 That’s when President Obama said “I hear you” to the voters who resoundingly thumped his fellow Democrats at the polls across the country, pledging to work with Congress and forge compromises to get things done. But buried among the news reports of the pie-in-the-Democrat-face results of the November elections was a reminder that he was going to use executive actions to protect six million illegal immigrants from deportation. In other words, not one soul noticed Obama’s blatant hypocrisy. Out of one side of his mouth, he pledges to work with Congress; out of the other side of his mouth, he flips the middle finger to not only Congress but the U.S. Constitution itself to create new immigration policy without congressional approval. Obama’s use of executive orders to reshape a major national policy reveals his taste for totalitarianism. The brilliance of the U.S. Constitution is the concept of checks and balances, whereby no one branch of government can become overpowering. King Obama, however, has repeatedly expressed a disdain for the Constitution. He has said it is “imperfect” and “deeply flawed” and that we need to “break free” from the Constitution. So Obama does not want to follow the standard; he wants to do whatever is right in his own eyes. And if there is no standard, all you-know-what breaks loose. While executive orders can, in rare instances, involve large policy changes with wide-ranging effects, the goal is always to have the government come to an agreement on such matters—which is more reflective of our democracy—rather than a unilateral decision by one person, which is more reflective of a dictatorship. One of the most common arguments by atheists and liberals is that conservatives want to “force their morality on everyone else.” Has anyone else realized that liberals and atheists are just as lustful in their desire to “force their morality on everyone else”? When Obama wants to force an immigration policy upon the nation without discussion, compromise or vote, isn’t that forcing his morality on everyone else? Let’s not fool ourselves: the “forcing morality” argument does NOT apply just to conservatives. When gays want the right to marry, aren’t they forcing their morality on everyone else? With these executive orders, Obama is making it abundantly clear that he wants to force his liberal morality on others. I’m not against immigrants. My parents were immigrants. But they were legal immigrants. Our country is on a fiscal cliff and Obama wants to add to our nation’s fiscal burden by fast-tracking illegals, which in turn will only encourage even more illegals to cross into our borders. It is a pandora’s box and a slippery slope packaged in a trojan horse. When people like Obama want to “break free” from the standard that governs this great nation and would rather do what is right in his own socialist eyes, we are in trouble. There is hope for the Senate yet. On Wednesday, the Senate failed to approve two Democratic-led legislative proposals, one to expand the system of background checks and another to ban the manufacture and sale of certain semi-automatic rifles and high-capacity ammunition magazines. The former failed in a 54-46 vote—six votes shy of the 60 needed to advance—and the latter failed in a 40-60 vote. Finally some sanity has reigned, even if temporarily, in Washington D.C.. Anyone with an independent brain—or Minor Insights—knows that neither proposed measure would have prevented any of the mass shootings in recent memory, nor would they curb the murder rates in any of the metropolitan cities. Even Adam Lanza, the Sandy Hook shooter who sparked these knee-jerk legislative proposals, did not have a criminal record and thus still would have committed his heinous crime even if these brainless laws were passed. Just two months after the Sandy Hook shooting, a group of high school African-American students in Chicago—right in Obama’s neighborhood—said the problem with violence isn’t guns; it’s gangs. Tyler Minor, 16, agreed that Obama’s proposals to tighten gun laws would have little, if any, effect on the illegal guns on the street. These teens, who are living in the crosshairs of gun violence every day, are spot on. And it’s really common sense if you stop and think about it. So why doesn’t Obama get it? Why does Obama have to lamely flank himself with victims of gun violence while denouncing the Senate for making the right decision? Why does Obama stubbornly continue to aggressively push these gun restrictions despite all the reasoning against them? Because Obama’s proposals aren’t really to curb gun violence; they’re to put a socialist hole in the U.S. Constitution. Actually, no. A shocking documentary called “Agenda: Grinding America Down” reveals how Obama has had numerous connections, relationships and mentorships with socialist and even communist (yes, communist) people. This explains why Obama refuses to admit the airtight logic in arguments against his gun control proposals, like this one given by a 15-year-old girl. In any event, a major piece of President Obama’s second-term agenda has been rejected and defeated—particularly impressive since it had to stop the gun-control momentum created by the Sandy Hook crisis. Common sense advocates have done well to push their Senators to listen to logic. Thank the Senators who were brave enough to stand for reason. And celebrate a moment of sanity in the Senate. Was Obama behind the Sandy Hook massacre? I typically reject a lot of conspiracy theories that I’ve heard. But ironically, I’m about to propose one myself. You may think it has merit. Or you may dismiss it altogether and call me crazy. I admit upfront I have no conclusive evidence. But I believe this post will at least make you think. Which is what the point of this blog is all about because we are not your “average American”. Some current Sandy Hook conspiracy theories argue that the U.S. government was involved but that the shootings were staged. I don’t believe these theories to be true. With the media that covered the event, I find it hard to believe that fake dead children could fool the reporters and other onlookers at the scene. I could be wrong, but that’s my take on it. However, I think it is entirely possible that President Obama and the U.S. government were in communications with shooter Adam Lanza to perpetrate the shooting. Lanza removed the hard drive from his computer and smashed it to pieces, making it impossible “to learn whether Lanza communicated with others about possible plans to kill his mother and attack the Sandy Hook Elementary School in Newtown, Conn,” as USA Today reported. Why would the shooter care about people finding out what was being communicated before he performed the massacre? Lanza knew he would be dead, so it’s not like the data would be used to put him in prison or put him on death row. Personally, I wouldn’t be one bit surprised if Lanza was simply covering up his tracks involving Obama and the federal government. Why would Obama want to do that? Of course, when evaluating conspiracy theories for merit, the first question to be addressed is “Why would that scheme/plan/theory be necessary in the first place?” After all, if there’s no benefit to carrying out such plans, then the theory immediately makes no sense. Thus, Sandy Hook is doing more for Obama than 9/11 did for President George W. Bush. One significant thing is different between Sandy Hook and 9/11: the results of the terrorist attacks on 9/11 united all Americans against a common outside enemy (terrorists), whereas the results of the Sandy Hook massacre divided Americans on a strictly-American issue (gun control). Obama ordering the killing children? It may seem absurd that the President would order the killing of children. And I admit it certainly sounds far-fetched. But as history as shown, socialists and communists have no problem sacrificing some people in order to advance their agenda. Is Obama a socialist? In a near-two-hour documentary being shown free in its entirety on Vimeo, you see not only how socialist and communist goals are being achieved right under our noses, but that President Obama himself has been deeply influenced by multiple socialist and communist mentors. I cannot urge you enough to watch the entire video. That is the textbook rallying cry for socialism and communism: rather than inspire everyone to be rich (capitalism), allow the government to take from the rich and give to the poor so that there is equality for everyone (communism). Is Obama a socialist? If you understand both history and his past mentors and associations, you know that there is no question about it. If you don’t understand history nor whom Obama has been influenced by, then you are doomed to repeat history. Obama’s Phoenix-like rising popularity following his Sandy Hook appearances has further emboldened him as he prepares for his second term in office. After all, he now has the support of the majority of Americans. This sounds eerily similar to the socialist, if not communist, ideals expounded in the “Agenda” documentary referred to above. Though the video was produced by a conservative Christian, you don’t need to be a Christian to see in this mind-blowing video that what is happening in America today is a deliberate process by socialists. And once you understand that, you can see for yourself how Obama’s self-proclaimed agenda for his second term is in perfect lockstep with the socialist and communist agenda. Had he not had some defining moment that he could capitalize to win over the average American, Obama would be significantly harder pressed to push his socialist agenda. Sandy Hook has given Obama a new wave of useful idiots. Take, for example, left-wing comedian Jon Stewart. In a video on Newser’s web site, Stewart mocks conservatives regarding Obama’s 23 executive orders on gun control. Stewart’s logic has so many holes that it would take another long post to cover. But in the end, I pity Stewart and all the average Americans who watch him, for Stewart is now Obama’s useful idiot in being an unwitting propagandist for Obama’s socialist cause. These four executive orders have everything to do with privacy, the federal government’s ability to sync its network of databases with the federal background check system and with state databases, and the federal government’s subjective power to deem someone “dangerous” and thus unable to possess a gun. Um, “funny” how Jon Stewart intentionally did not mention that in his skit. The rest of the executive orders are just smoke-and-mirrors because they contribute nothing to preventing gun violence. In fact, none of these 23 executive orders would have prevented any of the mass shootings in recent memory. Blogger areyoustillalive made a similar argument how this is an invasion of privacy. So if these executive orders don’t help prevent shootings, then what are they for? As I mentioned earlier: privacy and more government power. In other words: bigger government and smaller rights for individuals. None of this would have been possible for Obama without Sandy Hook. And the timing of Sandy Hook, in terms of happening before the fiscal cliff showdown and well before the start of Obama’s second term, was impeccable. Recall that the timing of Osama bin Laden’s assassination was also magnificent: Obama’s job approval ratings instantly jumped up seven points during that period of high unemployment in spring 2011. On the other hand, waiting for a Sandy Hook-like situation to organically happen on its own is a crapshoot with extremely low odds of reality. So it would be in Obama’s best interests to orchestrate it himself, though I have no proof of any of this. It’s alternatively possible that Sandy Hook and Obama are all part of God’s judgment of our country. But it all does seem to add up when you put all the individual pieces of the puzzle together. I wouldn’t be surprised if this conspiracy theory were true. And you shouldn’t be either.